The walls are bare, the room empty, except for a family of three standing in the center, each with paintbrush in hand. It’s quiet. They’re thinking. The family—a dad, a mom, and little girl—are asking themselves: “What do I want out of this room?” When they figure out the answer, they’re going to paint it on the wall. 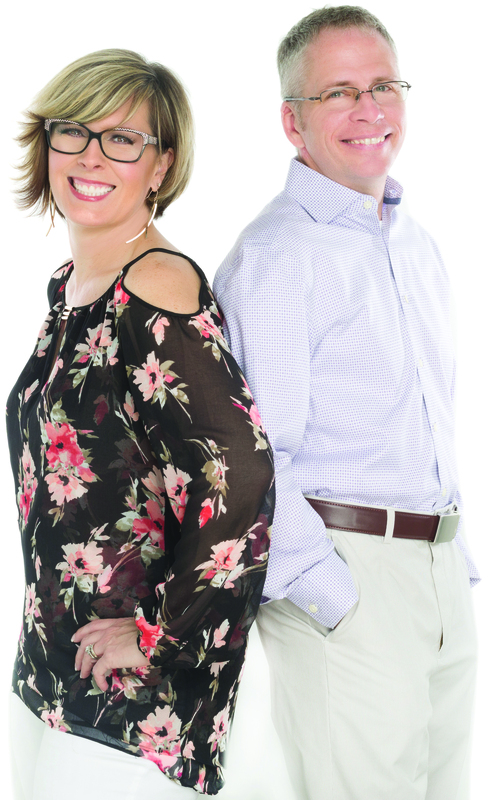 “Intention” is one of the first things Mina and Mark Fies, the owners of Synergy Design & Construction, in Reston, Va., explore with clients before they start working on any given space. They want to understand the intention for the room—and not just what’s on the floor plan. They don’t want to know a kitchen is going to be a kitchen. Instead, they want to learn what each individual family member hopes to get out of the space. 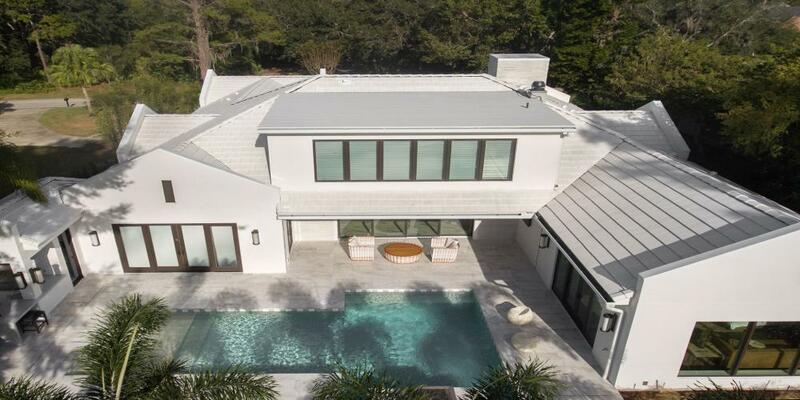 It’s just one part of Synergy’s process, but is also a representation of the company’s approach to home improvement: an unapologetic response to what the Fieses see as a larger cultural shift toward mindfulness. Synergy is building a business around that vision, and so far, it’s working. Synergy Design & Construction, founded in 2008, serves Northern Virginia with a team of 13 employees, including three interior designers, three lead carpenters, two apprentice carpenters, and one architect. Synergy completes 10 to 12 projects per year and averages $2 million in annual revenue. By most measures, it’s a successful company. And while a more traditional remodeler may frame that success as an “in-spite-of-their-quirks” achievement, there’s a strong case to be made to the contrary: that Synergy’s success is more a product of its uniqueness than anything else. In addition to spreadsheets, Mark thrives on managing people and embraces the challenge of finding and retaining talented staff amid a labor shortage. When the Fieses started their business in 2008, the U.S. was about a year into one of the worst financial meltdowns in its history, and the Fieses were three months into their marriage. 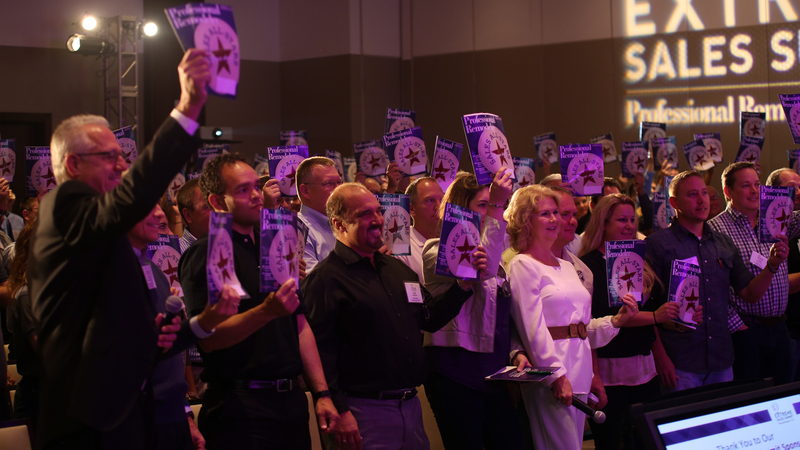 They weren’t sure what approach their business would ultimately take, but it was clear the pair was driven by a shared understanding that a culture shift was taking place across the nation. That’s not to say there isn’t a strict definition of the term. There is. Conceived by New Age writer Denise Linn in the mid-’90s, the practice is a marrying of feng shui and space-clearing concepts, intended to help tap into the uniqueness of the people living in a space and leverage that to not only empower the residents, but also their dwelling. Mina, who is a Denise Linn–certified interior alignment practitioner, is careful to make sure homeowners understand that the specifics of interior alignment have little to do with the practice itself. For Mina and Mark, interior alignment is an overall guiding principle for improving the way people feel in their home. By removing the pony walls and installing new cabinets, appliances, and a large island, Synergy crafted a lighter, more open kitchen for the homeowners. Two components of Synergy’s alignment process are intention painting and space clearing. Both rituals add a more personal layer to the entire remodeling process. Intention painting is first mentioned during the initial design meeting but takes place shortly before the project is painted. Mina, Mark, and the designers prep each of the home’s residents with a challenge: Articulate your intended purpose for the room by painting it on the room, via Synergy-provided paint and brushes. And what do people paint? According to Mina, it’s most often words like “family,” “love,” and “abundance”—basically one-word narrations of the cultural shift the Fieses see happening nationwide. Space clearing is a bit different, though similarly off kilter. Traditionally a process some use to revitalize a building’s energies, Mina and Mark also see it as a way to leave families with a sense of serenity. “It’s like you’ve let us into your home for two or three months, we’ve done all this work, so instead of just saying, ‘Here are some balloons and your keys back,’ we clear the space and let you say a few words about what the finished room means to you,” Mina says, adding that what the space clearing ritual ultimately entails depends on the particular client. It could be something as small as a moment of reflection, or as involved as ringing bells while Mina walks the room with a feather, fanning smoke from a bowl of smoldering sage (a Native American practice known as smudging). Mina and Mark both admit, to no surprise, that not all clients are inclined to pick up the feather and start revitalizing their bathroom’s energy. In fact, some refuse to participate at all. But at the same time, the duo has also been surprised by the willingness of some clients—who upon first meeting may not have “seemed the type”—to join in, including one who initially appeared uninterested but then rushed to get his Tibetan singing bowl when the topic of space clearing came up. 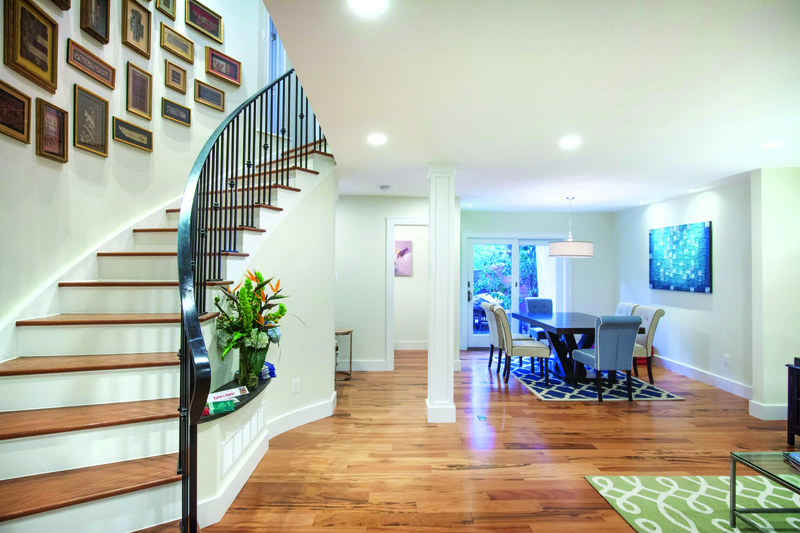 As part of a whole-home renovation in Reston, Va., Synergy Design & Construction knocked down two walls to open up and connect the home's first-floor dining and living rooms. Synergy expects its revenue to grow by 15 percent in 2017 and currently is hiring a project manager and two additional lead carpenters. The company is also planning a business venture that, if successful, will add a digital emphasis to the alignment concept. It’s called Renovation Roadmap, and Mina explains it as an online, subscription-based platform designed to take the mystery and fear out of remodeling. More specifically, it’s an ambitious scaling of Synergy’s process. The service, which is still in beta testing, will include a guide to hiring contractors, avoiding budget pitfalls, and basically navigating each stage of a remodel, from design to construction to closing, as well as an outlet to ask Mina and Mark questions. There will be an online-community component as well, where people from around the country will be able to exchange advice, photos, and anecdotes from their own remodeling experiences. “This empowers homeowners to understand the process,” Mina says, which is important because, as she sees it, a more proactive and informed homeowner is a more understanding client. One thing that Mina and Mark are careful to point out is that Renovation Roadmap isn’t intended for DIYers. 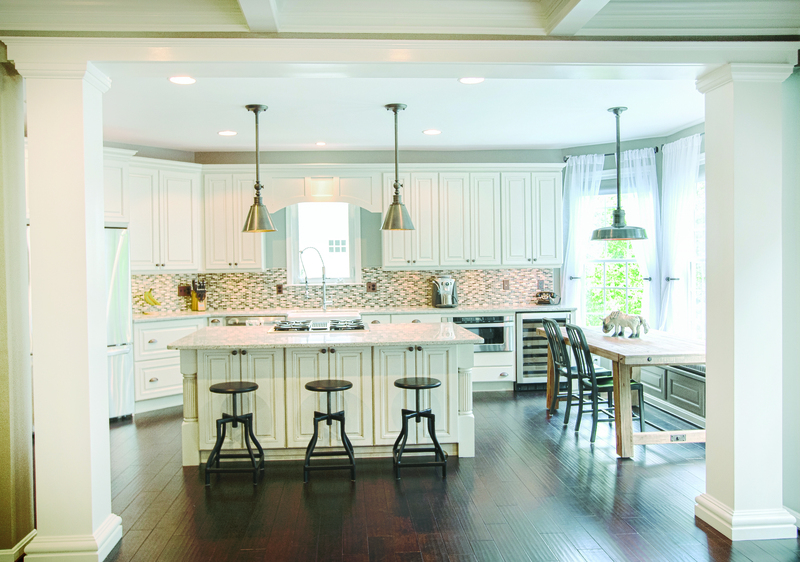 It’s being designed to make the language of remodeling more familiar to homeowners so they can better work as a team with their contractor, as opposed to being adversaries—a dynamic that Mina says too often is the reality. Mindsets haven’t always been that way, though—at least not in Mina and Mark’s world. The swelling of the social conscious, as they see it, didn’t start picking up speed until after the Great Recession. The Fieses look at that period following the downturn as a turning point, where economic turmoil galvanized the population into adopting new, more mindful and compassionate perspectives. And that was particularly true for homeowners, who, in many instances, were hit the hardest. “Following the Great Recession, we found homeowners had shifted their focus from finding or building their next home—the bigger and better home—to asking themselves, ‘How can I improve the home I have?’” Mina says. The Fieses’ observations are especially true regarding new-home construction, which saw spending from peak to trough fall by 60 percent, compared with home improvement spending, which fell just 13 percent, according to Harvard University’s Joint Center for Housing Studies. Today, annual homeowner spending on remodeling and improvements has ballooned into a $300 billion industry—well above the norms of the early 2000s. And that’s all to the benefit of Mina and Mark, who would rather a person think of a house as a home as opposed to just an investment. It’s why they vet clients before committing to a project. They’re not looking to spruce up a family’s kitchen so the asking price can rise by $10,000; they’re in the business of designing and building safe, comfortable spaces where moms, dads, sons, daughters, grandparents, dogs, cats, and whoever else may consider the space home, can find that happiness, abundance, or family time they described when first setting their intention for the remodel.